Training frequency refers to how many times you will workout in a week, or how many times you train a specific muscle group per week. Weight Training Frequency: How many total weight training workouts performed in a week. Muscle Group Frequency: How often or how many times you will train a single muscle group in a week. 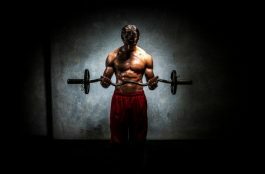 To maximize muscle growth and strength gains most people should perform four intense weight training sessions per week. An absolute minimum of three weight training workouts can be effective, but if you really want to experience the greatest gains as quickly as possible then you must do what you can to accommodate for a minimum of four workouts per week. By training four times a week, you’re able to focus your attention on training specific muscle groups on a given day and allows for optimal recovery before training that muscle group again. The most effective and intelligently designed workout programs followed by professional bodybuilders and amateurs alike are based around 3 – 5 day splits per week. Training four times per week appears to be the sweet spot in terms of allowing for optimal growth stimulus and recovery between workouts. Intense weight training stimulates muscle growth, but this training puts heavy demands on the body. Transforming the stimulation from training into muscle growth requires a recovery period. It is not just the contractile system (muscle cells) that requires a recovery period after an intense weight training session, but also the nervous system, endocrine system, energy stores, joint capsules and tendons. It is essential for optimum muscular development and injury prevention that recovery becomes a major part of your overall training program. The question of “how many times should I train a muscle group per week?” is a topic of much debate. You will find many differences of opinion on this question. 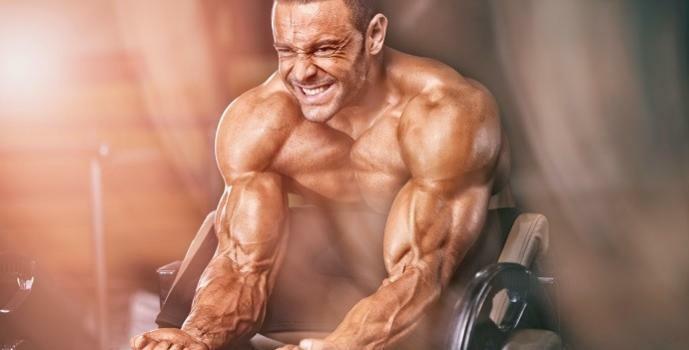 Some people recommend training each muscle group twice per week, while others say just once per week is more than enough to induce the greatest hypertrophy response. Well, they’re both right, but I’ll tell you which one is best is just a minute. It’s true that you can train a muscle once per week or twice per week and get great results. But if you’re anything like me then you don’t just want to know what works, you want to know what works best. …and I can tell you right now that training a muscle just once per week is not optimal. I trained like this for years, following the classic bodybuilder muscle annihilation style workouts, and I did get good results. But I’ve now learned that lower volume, more frequent workouts are far better at building muscle faster. The goal of everything that you do inside and outside of the gym is to stimulate protein synthesis. Increasing protein synthesis as high and as often as possible is how you build muscle. 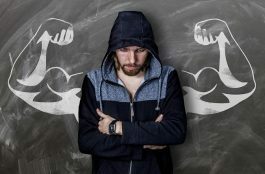 Now, weight training stimulates muscle protein synthesis for 24 – 48 hours, some studies show stimulation lasting as long as 72 hours, before returning to baseline. If you train a specific muscle, let’s say chest, with an intense weight training session then protein synthesis levels in your chest muscles will be elevated for around 3 days, before returning to baseline. It doesn’t make much sense to leave your chest a whole 7 days before training it again. With rest and good nutrition the muscle will be ready for another bout of exercise in around 3 days. With that said, I would give a trained muscle at least 4 – 5 days rest between each workout. Even though protein synthesis levels may have fallen to baseline after 3 days, give the muscle a further day or two to fully recover. This will give your tendons some extra recovery time, allow any inflammation to subside, muscle energy stores to replenish, your central nervous system to recover and allow for full recovery of the muscle before hitting it again. Training each muscle group just once per week is not enough to maximize growth, and training each muscle group twice per week is just a bit too much. For optimal muscle growth its best to work each muscle group once every 4 – 5 days. Training each muscle group every seven days gives you just 52 growth simulating workouts in a year, while training each muscle every four or five days gives you around 90 growth stimulating workouts in a year. Which training frequency do you think will give you better results in a year? It’s quite clear which training frequency is optimal for growth, and is why I have structured my Optimum Mass workout program to maximally work each muscle group every 4 – 5 days. How Often Do You Change Workout?